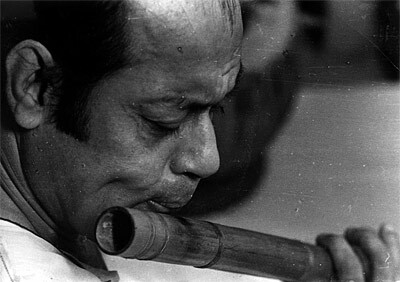 Sri Gour Goswami introduced Steve to the vocal (gayaki) style of bansuri that was first introduced by the legendary flutist, Padmabhusan Pannalal Ghosh. 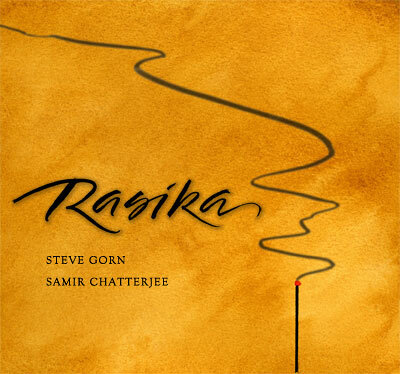 As a disciple of this illustrious gharana, the heart of Steve’s playing reflects an attention to meer and gamak and an ‘old world’ rendering of raga which unfolds timelessly and with attention to the rasa, or color of each note and melodic contour. Since 1996, Steve has continued his study under the illustrious bansuri master, Pandit Raghunath Seth, of Mumbai. Raghunathji’s compositions in numerous ragas, and his performance style are now a prominent feature of Steve’s performances. Raga means ‘to color the mind.’ Steve’s concerts offer a unique performance revealing the beauty and subtleties of raga. This exquisite music, evolved from the rich spiritual and yogic traditions of India, and unfolds in an unending dance of melody and rhythm. Steve often includes a ‘guided listening meditation,’ which reveals the inner form and architecture of the music.